1. Totally automatic: simply turn it on and it works automatically. 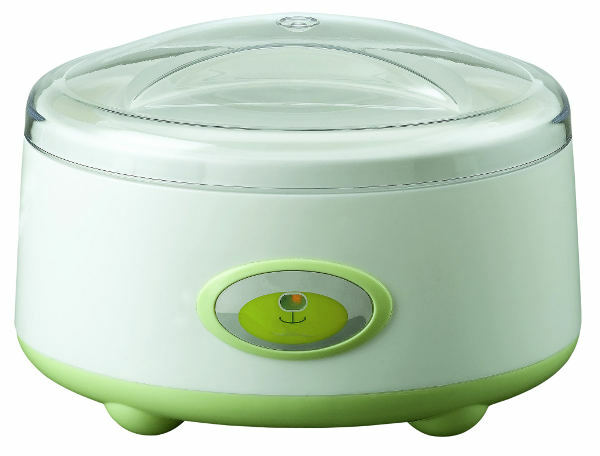 This yoghurt maker incubates 1 L of yogurt in 8-12 hours (overnight, for example). 2. Precise temperature control: heating features are adapted to control the temperature with precision, propagating the lactobacillus (healthy yogurt bacteria) abundantly, quick and evenly. 3. Includes one jar. The jar can be sterilized with boiling water or by heating it in the microwave for 2-3 seconds. 4. Economical: by using high technology features, electricity costs are minimal; making 1 L of yoghurt costs less than EUR 0.02 electrical energy. 5. 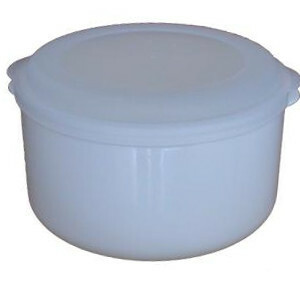 Right capacity and shape: fits into almost any kitchen; besides, 1 L of yoghurt is enough for 2 daily doses for each member of an average family of four. 6. You can use soy milk, cow milk or other types of milk. 7. 1 L of soy yogurt only costs a few cents. 1. Add yogurt starter to 1L of milk and stir with a sterilised spoon. 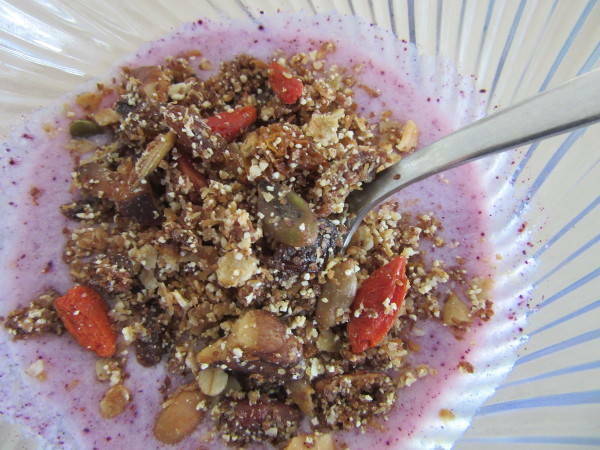 Alternatively you can use a cup of plain yogurt to start a culture. 2. Turn on the yoghurt maker and wait 8-12 hours for incubation. 3. In addition, keep in the fridge for another 8-10 hours to improve consistency. Midzu yogurt maker keeps a constant temperature of about 40 ° C.
This product complies with RoHS standards. The plastic does not contain bisphenol A. Suitable for making yogurt cheese by using Midzu tofu kit. Save money and make superior quality soy milk by using Midzu soy milk maker machine !